Are you confident analysing texts for Module A? Do you know how to develop your Richard III and Looking for Richard textual analysis? In this post, we show you how to analyse Shakespeare's classic tragedy and Pacino's modern reimagining of it. Do you know what you need to do for Textual conversations? Don’t know where to start with your King Richard III and Looking for Richard textual analysis? Well, you need to get your head around the content and concepts central to both texts and consider them through the lens of a contextual study. So in this post, we give you a step-by-step guide for analysing and writing about King Richard III and Looking for Richard. 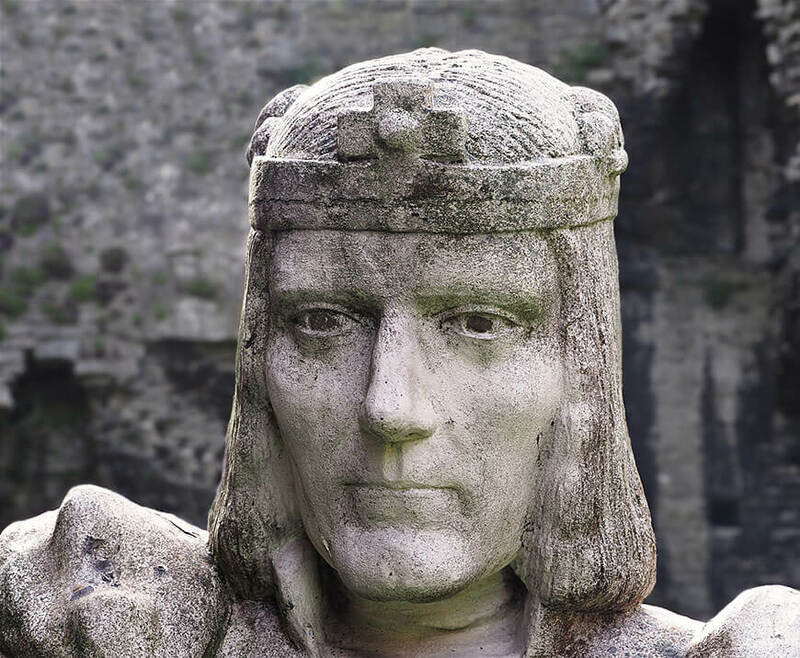 If you haven’t already, you should read our overview of Module A: King Richard III and Looking for Richard – Dos and Don’ts. King Richard III & Looking for Richard – Textual Analysis: What is Module A? In this module, students explore the ways in which the comparative study of texts can reveal resonances and dissonances between and within texts. Students consider the ways that a reimagining or reframing of an aspect of a text might mirror, align or collide with the details of another text. In their textual studies, they also explore common or disparate issues, values, assumptions or perspectives and how these are depicted. By comparing two texts students understand how composers (authors, poets, playwrights, directors, designers and so on) are influenced by other texts, contexts and values, and how this shapes meaning. You need to compare two texts – the original and the reimagined – and analyse how texts reflect the context in which they are made. Additionally, you need to identify the common values and differences between the texts to explore the human condition and society over time. You must take into account how the composer’s decisions can shape your understanding of social issues, values, assumptions, or cultural perspectives from your context. You then want to apply this to the texts you are studying. Pacino reimagines Richard III with a more secular and psychoanalytical understanding. This is just an example of a theme can be analysed in your responses. What you choose to focus on will be determined by question asked. If you want to learn more about Module A, read our Year 12 Study Guide Article. Now, let’s look at the process for analysing Shakespeare and Pacino’s texts. Now let’s look at a passage in King Richard III and analyse it in terms of the module requirements. Afterwards, we’ll look at the opening of Looking for Richard from Act 1, Scene 1. Have no delight to pass away the time. The play opens with Richard’s soliloquy after the victory of the war. He describes the peace and glory that people are enjoying; men flirting and King Edward IV in a chamber full of women. However, Richard turns around and complains about his deformed appearances and having a limp. He complains about how these looks have prevented him from getting with women and, because of that, he decides to become a villain instead. In this extract, Shakespeare uses many different techniques. Let’s focus on a few of them to see how he conveys meaning. Allusion: A direct or indirect reference to another text, historical period or religious belief. Tone: The way the character or composer feels – it is created through word choice. Visual imagery: Vivid pictures that the reader can visualise through words. Now we must see how these techniques represent ideas. The Levitical Doctrine states that “whosoever hath any blemish shall not offer the bread of his God” (Leviticus 21:17-24), highlighting the idea that physical deformities are representative of one’s ‘evil’ nature. So, looking back at the soliloquy, we recognise that it is allusion to the Levitical Doctrine because of Shakespeare’s numerous references to Richard’s deformities and God’s curses. This is quite clear in lines like, “Cheated of feature by dissembling nature”. This helps us understand the Elizabethan belief that an individual’s identity is predetermined by God and that, furthermore, Richard’s physical deformities are symbolic of his moral degeneracy. The soliloquy slowly becomes more bitter as Richard begins to describe himself and his anger towards his physical deformities. This bitter tone is created through the adjectives like “deformed” and unfinished” when he says he has been “Cheated of feature by dissembling nature / deformed, unfinish’d, sent before my time”. This creates harsh visual imagery, suggesting he was discarded by God. From this we recognise that his physical deformities are an exterior sign of his spiritual evil. What does this mean for students studying Module A? In this extract, we are introduced to Richard III and gain insight into his Machiavellian traits. Shakespeare characterises Richard as a Machiavellian character. Richard is innately evil because of his physical deformities. There is no acceptance of ambition because it challenges God’s will. That is why Richard’s desire for power is the cause of his downfall. Now, we need to look at Looking for Richard to compare the texts so that we have strong analysis to use when we write our T.E.E.L paragraph. Let’s look at the parallel scene of the opening soliloquy in Looking for Richard, where Pacino (in character of Richard) and Kimball (in character of Clarence) are at the Cloisters rehearsal. Pacino discussing this scene with his cast members and critics’ commentary. Finally, the shot returns to Richard walking towards his brother Clarence and stroking his face. As he walks, we see here that Richard’s facial expressions are full of conflict. Close-up shots: When the camera is filming a short distance away from the subject. Facial expressions: The way the face contorts to convey a feeling/thought/emotion. Now we must see how the technique represents ideas. The close-up shots emphasise Richard’s conflicted and pained facial expressions when he strokes Clarence’s face. Here, Pacino has recreated a more psychologically complex Richard compared to Shakespeare’s dichotomous representation. We see that this pained face is symbolic of his moral dilemma between pursuing power or maintaining loyalty to his brother. In between the rehearsal shots, Kimball describes the opening soliloquy as “[about] a sick king and everybody manoeuvring around”. From this, we get a better understanding of the 20th century context. Pacino highlights that Richard is not the only person who relies on manipulation and deceit to achieve his goals, instead, everyone is doing it. The only difference is that Richard is successful. We can see that the 20th century promotion of ambition and achievements have influenced the modern portrayal of Richard. Modern audiences are positioned by the film to understand and sympathise with Pacino’s Richard more than with earlier Shakespeare’s Richard. Well, in this scene, we see Pacino and the cast recreate the opening soliloquy to make it more suitable to a 20th century audience. Pacino’s Richard is more psychologically complex; he is portrayed as a person who is torn between his ambitions and his morals. He isn’t characterised as an innately evil person like he was by Shakespeare. Instead, he is a product of his individualistic society. Because of the popular ideal of the American Dream, Pacino warns that anyone in society can lose their morality from their unbridled ambition. This is unlike Shakespeare’s message which argued that those with ambition were ‘innately evil’. Now that we have analysed both Shakespeare’s and Pacino’s text, we need to discuss our findings in a way that satisfies the concern of the module. That is analysis that includes context, comparison and comment. We will use the T.E.E.L structure that Matrix students are taught to use in their Band 6 responses to present our evidence and its discussion. The link is especially important because connects the techniques and analysis back to the concerns of the Module. Okay, let’s look at an example of a Band 6 response. Regardless of society’s shifting views on ambition, the consistent depiction of individuals wrestling with their moral dilemmas makes it is clear that integrity is universally valued. A comparative study of Shakespeare’s Richard III and Pacino’s Looking for Richard illustrates how the appreciation of ambition has changed while the possession of integrity has remained valued. 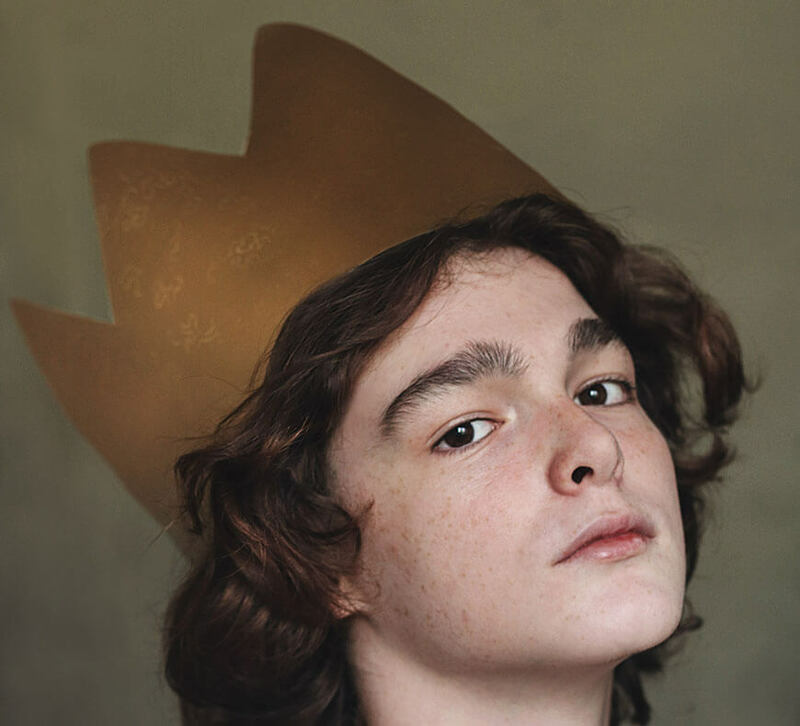 In Richard III, Shakespeare’s allusion to the Levitical Doctrine encapsulates the Elizabethan belief that one’s identity is pre-determined by God. This established in the opening soliloquy where Richard’s bitter tone as he laments that he has been “Cheated of feature by dissembling nature / deformed, unfinish’d, sent before my time”, characterises him as a Machiavel. The adjectives “deformed” and “unfinished” connote an image of him where his physical deformities are an exterior sign of his spiritual evil and, subsequently, his lack of integrity in the Elizabethen context. However, reflective of the secular understanding of the complexity of the human psyche, Pacino creates a more psychologically complex and vulnerable Richard. The close-up shots of Richard’s conflicted and pained facial expression when stroking Clarence’s face at the Cloisters rehearsal encapsulates the moral dilemma he faces: pursuing his aspirations or maintaining an affectionate relationship with his brother. However, the intercut of Kimball describing Shakespeare’s opening soliloquy as “a sick king and everybody maneuvering around” highlights how humans, including – or especially – Richard are so driven by their ambitions that they rely on manipulation in the pursuit of power. Clearly, although society’s perception of an individual’s identity has shifted, a comparative study of Richard III and Looking for Richard highlights the longstanding value of integrity, whereby, individuals are not to rely on manipulation and deceit to achieve goals.